ONLY ONE SPOT LEFT! 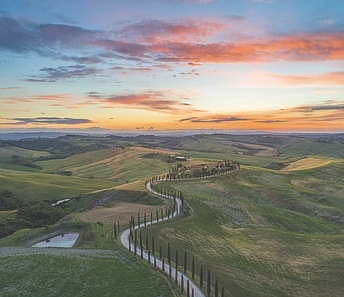 To grab it, register http://www.minervaeducation.net Hallie Ephron will be the writer in residence 5/29-6/7/2019 Minerva Education genre summer writing workshop in Tuscany teaching “From Inspiration to Book,” a personalized intensive workshop for writers who are just getting started as well as writers with a manuscript underway. Enjoy this incredible experience in Tuscany this summer and propel your own writing to the next level. YOU’LL NEVER KNOW, DEAR named NYPL Summer Pick for Adults! July 6, 2018 – You’ll Never Know, Dear named a New York Public Library Summer Pick for Adults! January 19, 2018. Mystery Writers of America announced Hallie Ephron’s You’ll Never Know, Dear nominated as a finalist for the Mary Higgins Clark Award. This is Ephron’s fifth time as a finalist for this prestigious award. BEST of 2017! Audiofile names YOU’LL NEVER KNOW DEAR a year’s best! December 3, 2017. YOU’LL NEVER NOW, DEAR named an Audiofile BEST AUDIO BOOK OF 2017. And congratulations to our wonderful narrator, Amy McFadden! November 12, 2018. Hallie guests on Steven James’s THE STORYBLENDER, talking about writing. After 40 years, Janey Woodham’s porcelain doll, the one that went missing when the 4-year-old disappeared one sunny afternoon from her front yard, turns up in the hands of a stranger. 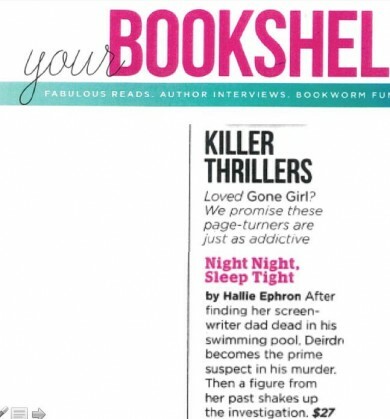 And with that one enticing clue, best-selling author Hallie Ephron’s new mystery, “You’ll Never Know, Dear,” is off and running. Second printing! Audiofile Earphones Award winner! June 7, 2017 – YOU’LL NEVER KNOW, DEAR is already going into its second printing… 1 day after book launch! June 6 on Book Club Girl Hallie talks about setting YOU’LL NEVER KNOW, DEAR in beautiful Beaufort, SC, then having to fictionalize it because its history is almost too fantastic and bizarre to be believed. I grew up in Hollywood, lived in New York City, and now I consider myself a New Englander. To me, the South is like a foreign country. So it was a challenge when I started writing You’ll Never Know, Dear and realized the elderly doll maker and the story I was spinning belonged in the South. June 2, 2017. Here’s Hallie Ephron’s Livestream from BookExpo in NYC. John Valeri in The Criminal Element: “Ephron excels at depicting the dynamics between ordinary women thrust into extraordinary situations. While she’s often told tales of mothers and daughters, this is her first three-generation saga, and the result is a poignant portrayal of how tragedies often have a trickle-down effect, blighting everyone they touch despite the degrees of separation. 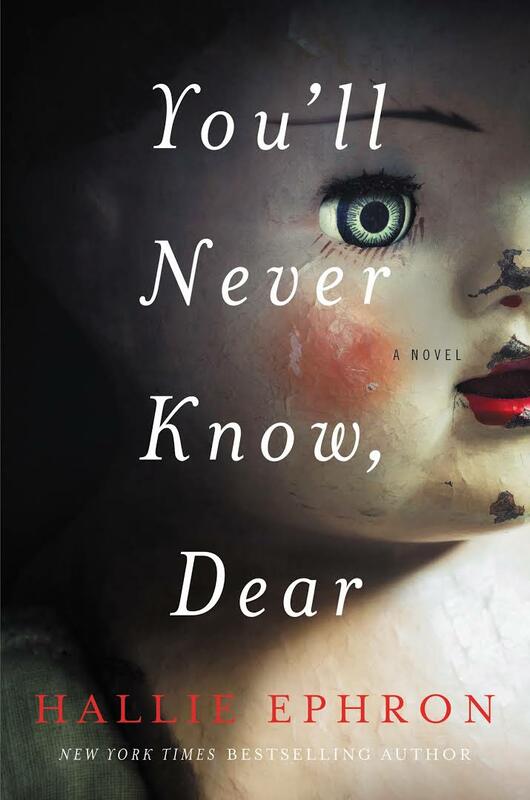 “You’ll Never Know, Dear” is a worthy and irresistibly readable addition to the author’s impressive arsenal. While discerning readers may harbor strong suspicions as to who the guilty party is, it’s the why that drives the narrative—a consideration that proves compelling until the bitter/sweet end. Though Ephron’s work is often classified as women’s fiction, it should appeal to anybody who enjoys intelligent, stylistic suspense. After all, questions of family, fidelity, and forgiveness are universal. Deadline: May 5 12 PM EST! Enter for a chance to win one of ten advanced reader’s editions of You’ll Never Know, Dear! 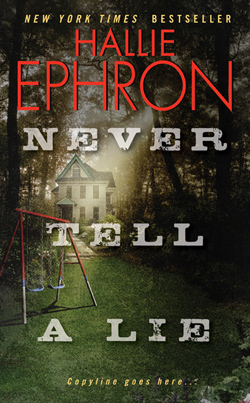 4/10-4/24/2017 – NEVER TELL A LIE bargain priced e-book $1.99 with a preview of YOU’LL NEVER KNOW, DEAR CLICK HERE, then pick the retailer of your choice. Worcester Telegram: The Greater Worcester Chapter of Hadassah is featuring the New York Times best-selling author Hallie Ephron as its speaker at its annual donor luncheon April 30 at The Manor, 42 West Boylston St., West Boylston. Hitting the best seller lists! March, 2017: Hallie’s There Was an Old Woman broke into Amazon’s Movers & Shakers, Top 100 at #14 & made its debut on the USA TODAY Bestselling Books list! THERE WAS AN OLD WOMAN, a Mary Higgins Clark Award finalist… featuring a memorable 92-year-old woman, a house with a view in the Bronx, and the Empire State Building. In The Washington Post Maureen Corrigan called it “the perfect thriller lite.” Sarah Weinman named it one of the year’s Top 10 Crime Fiction. Low price 3/6-3/20/2017 CLICK HERE, then click on the retailer of your choice. Low price 4/10-4/24/2017 CLICK HERE, then click on the retailer of your choice. 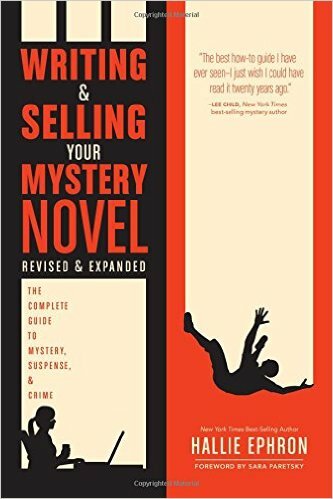 12/16/2015 TODAY a NEW & EXPANDED edition of WRITING AND SELLING YOUR MYSTERY NOVEL goes on sale from WRITERS DIGEST BOOKS. 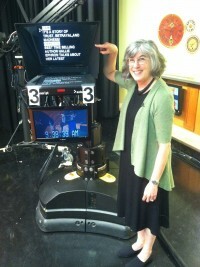 Hallie Ephron interviewed by Stephanie Kralevich on KPTV Fox 12 Portland Oregon at the Willamette Writers Conference. July 29, 2016. 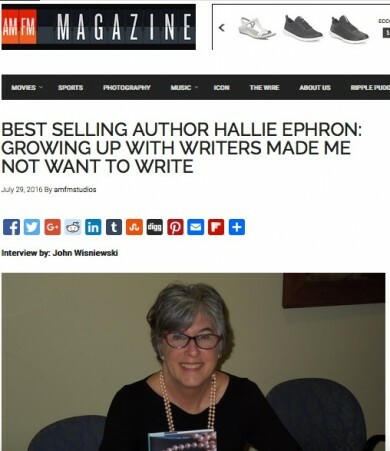 Fun intervew with Hallie Ephron on AMFM Magazine. On Growing up with writers made me not want to write. 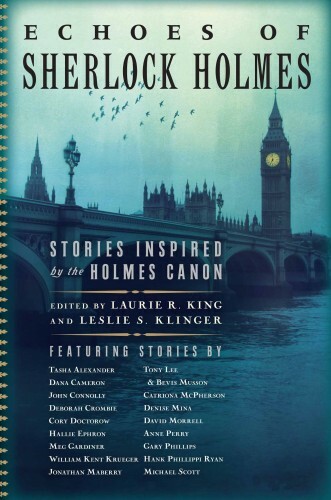 Hallie’s “Understudy in Scarlet” (set in Hollywood) is one of its stories inspired by the Holmes canon. 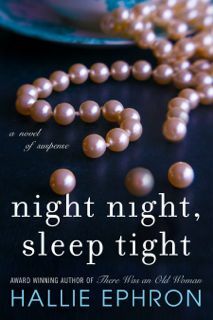 Just out is the paperback Night Night, Sleep Tight by one of my favorite writers, Hallie Ephron. Yes, she is one of those sisters whose formative years in Hollywood and genetic framework brought them all eventually into the wide world of entertainment. 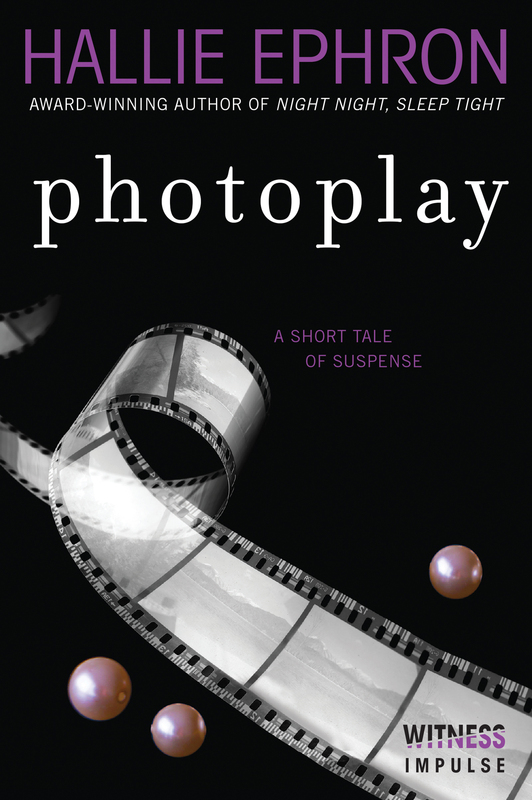 Hallie is the award-winning and bestselling mystery writer and book reviewer for the Boston Globe who shapes the skills of coming writers in workshops allover the country……but I digress…….this new one is a killer! Back in our youth we all heard the gossip of the beautiful blonde movie star with the abusive gangster boyfriend who was in the headlines when her 12 year old daughter killed the lover. Right. A similar thirty year old murder serves as the glittery backdrop to a young woman’s 1986 probe into the death of her father. I loved all the then and now quirks and secrets as they are elegantly woven into a thrilling page-turner chock-a-block with glamour, gossip and sandal. Perfect for Oscar night reading. 02/16/2016 NIGHT NIGHT, SLEEP TIGHT is now in paperback! Nominated for the Mary Higgins Clark Award, a riveting tale of domestic noir, infused with old Hollywood folklore and glamour, set in a town rife with egotism and backstabbing and where fame and infamy are often interchangeable. 1/19/2016 Mystery Writers of America nominates Hallie Ephron’s “Night Night, Sleep Tight” finalist for the 2014 Mary Higgins Clark Award. 3/31/2015 Joe Meyers writes a terrific profile of Hallie Ephron for CT News. 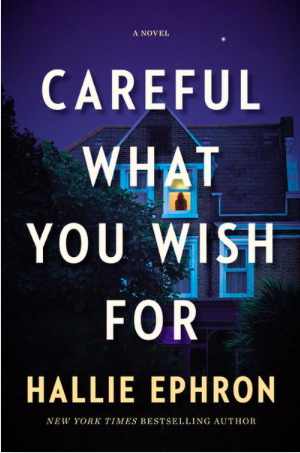 Hallie Ephron grew up in Hollywood, but she put that life behind her to establish deep roots in New England, where she has become one of our top suspense novelists. “Never Tell a Lie,” “Come and Find Me” and “There Was an Old Woman” have carved out Ephron’s own territory as a specialist in down-to-earth Hitchcockian suspense involving ordinary people any of us might know — that’s what makes the stories so gripping and so scary. Now, for the first time, Ephron has used her background as the daughter of the movie screenwriters Henry and Phoebe Ephron and the sister of writers Nora, Delia and Amy Ephron for a novel that shows the dark side of Old Hollywood. So hooray for Hollywood, hooray for homicide, and hooray for Hallie Ephron, who begins with a seed of truth and grows it into a bumper crop of crime and cynicism. Registration is open! 2015 Writer’s Digest Conference East, Roosevelt Hotel, July 31-August 2, New York, NY. 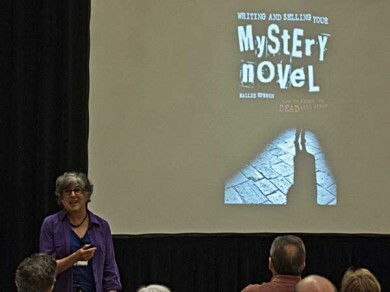 Hallie teaches 3 workshops (Writing Mystery: A Crash Course; Setting: More than Creating a Sense of Place; and Revising a Novel: Step Away from the Blue Pencil. Great authors, agents, and those clever guys from Writers Digest who want you to have your breakthrough. Reporter Tom Avril of The Philadelphia Inquirer came to see what MWA University was all about. He caught Hallie Ephron teaching plotting. Six established crime authors held forth on the tricks of their trade at the Sheraton Philadelphia Society Hill, covering such topics as dramatic structure, character development, and the art of description. And along the way they sprinkled in a few don’ts: As in – cliché alert! – no cliff-hangers that involve a cellphone battery running out of juice. Hallie Ephron, author of 2013’s There Was an Old Woman, took attendees through a hypothetical scene: Guy drives home from dinner with his wife, picks up the mail, notices the door to their apartment is open. Inside, the furniture is gone, but he finds a single red shoe with a stiletto heel. Where in the course of events should the writer start the scene? How should the action be slowed down at crucial moments? And how to end the scene? Cliff-hangers are good, Ephron said, but she urged writers to use them sparingly. 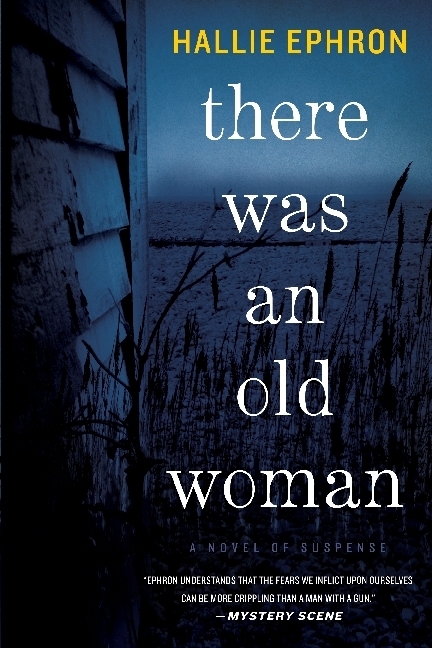 Sarah Weinman announces her 10 favorite crime novels for 2013 and There Was an Old Woman makes the list! Ellery Queen’s Mystery Magazine delivers its verdict! “Location, location, location: The most basic element of any New York story is its address. Hallie Ephron’s “There Was An Old Woman” is a New York suspense story set in an extraordinary outer-borough neighborhood that will stay with readers… . THERE WAS AN OLD WOMAN hits the Boston Globe best seller list! 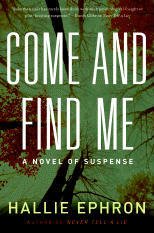 Lansing Journal mystery reviewer Ray Walsh raves! 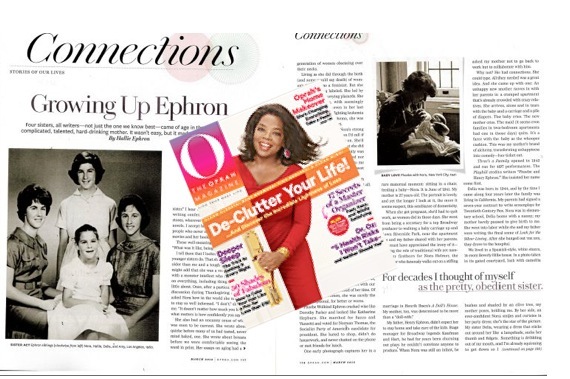 In the March ’13 issue of The Oprah Magazine Hallie talks about “Growing Up Ephron” — with three talented, articulate sisters (Nora, Delia, and Amy), all coming of age in the shadow of a complicated, talented, unhappy mother. there are three other Ephron sisters." mother -- a woman well ahead of her time. “Never Tell a Lie’ has been adapted for film on the Lifetime Movie Network. “And Baby Will Fall” starring Anastasia Griffith, Brendan Fehr, and Clea Duval. Hallie talks about Novelist Sees Characters Brought to Life. Hallie talks about writing with Steven James THE STORY BLENDER. “Campaign for the American Reader On finding “reality” in the movies. Hank Phillippi Ryan’s NOT QUITE 20 QUESTIONS FOR HALLIE EPHRON on the Sisters in Crime New England chapter blog! Book I wish I’d written? Movie I can watch over and over? Worst advice I’d ever gotten? And my motto: Just hold your nose and write. “He’s Just Not That Into Your . . . Food” on One for the Table: Hallie muses on what to do when his idea of heaven is steak and yours is soup dumplings. They look just fine in the store. But put them on and do the downward facing dog, and anyone standing behind you can see all the way to Florida (to quote Carrie Fisher on a similarly problematic, though not transparent metal bikini). Profile of Hallie Ephron in December, 2012, South Shore Living.